There’s nothing like devastating news to bring life into perspective. Our new motto is “do whatever is good for the soul.” Someone very important to our family was diagnosed with cancer last month and now we are working to find joy in the little moments wherever we can. 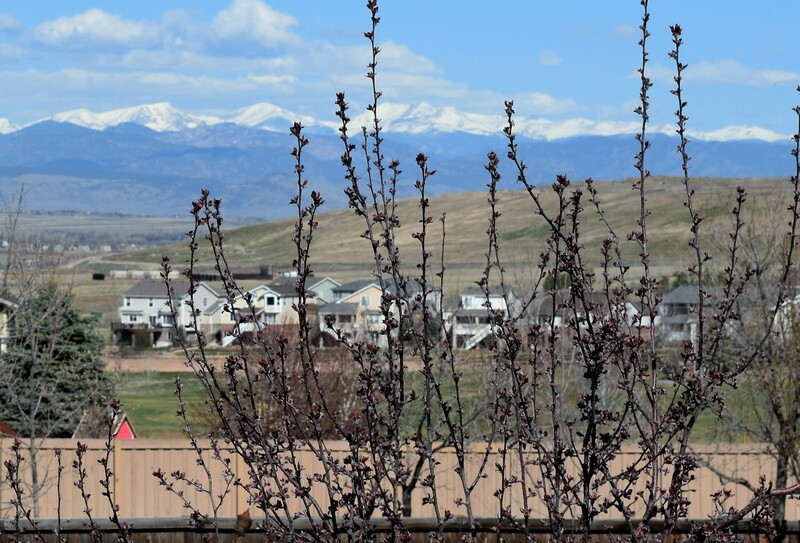 Yesterday morning the hubs and I were sitting on the deck enjoying the beautiful Colorado sunshine. There is beauty in “just sitting.” I’d forgotten that. Usually we’re too busy discussing the kids, life and work that we forget how lovely it is to just sit beside your best friend and be still. The sky was a shade of blue that only happens in Colorado. Two mallards landed on the pond behind the house using their feet like water skis, which made us chuckle. A hot air balloon was peaking over the hill. Good for the soul. We get so busy multi-tasking that life becomes out of control. Usually we are sitting in front of a show with our laptops, talking to the kids while the dogs are barking to be let out. Chaos. Normally the busyness is energizing for me. Now I am only concerned about the spirit of my family. I want them to feel peace, love. It’s a blessing that this week is spring break for my boys. We have been finding other ways to reconnect. Our uncle, who’s an avid golfer, came to visit last week. 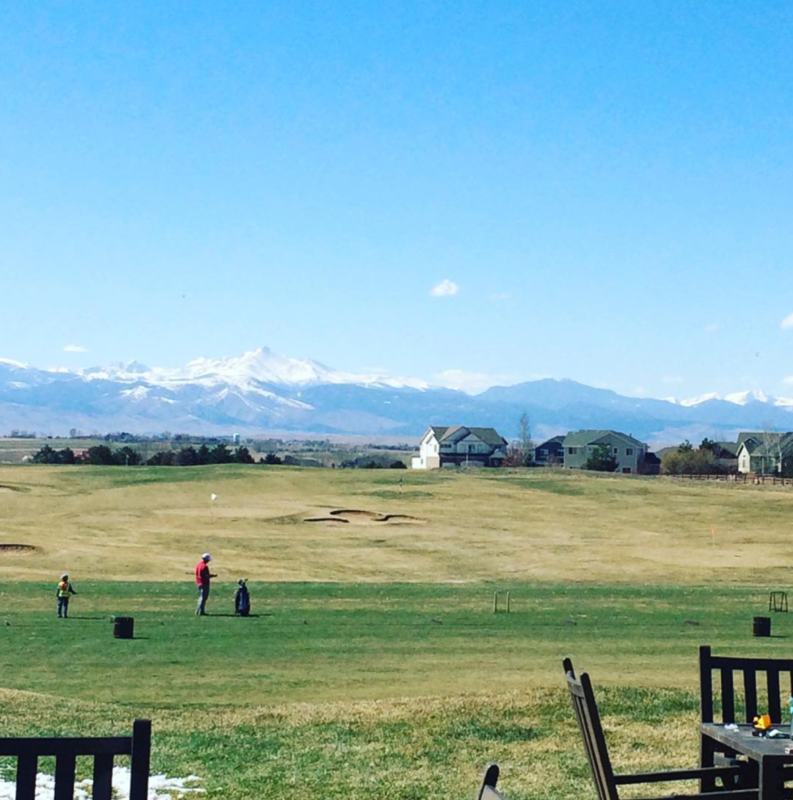 The snow has finally melted so we took him and the kids to the driving range. He took a lot of time with our youngest teaching him how to swing a club and now he has a five-year-old shadow who adores him! Even thinking about that afternoon has me smiling. Once we all had our golf lessons we just stood there and admired the view. Good for the soul. So was the ice cream we had after! Ducklings. Want to put a smile on your face? Raise ducklings. Their cute, fuzziness and tiny chirps are definitely good for your soul! Or put three week old ducks in the yard and tell your kids to catch them. It’s like the scene from Rocky…and it makes my husband laugh. The ducklings can be as fast as the chickens in the movie, by the way. Trust me. I look like an idiot chasing them around. Before church yesterday the kids had the big guys in my tiny garden pond for their “swimming lesson.” It was adorable. The dogs in the mix only added to the cuteness. 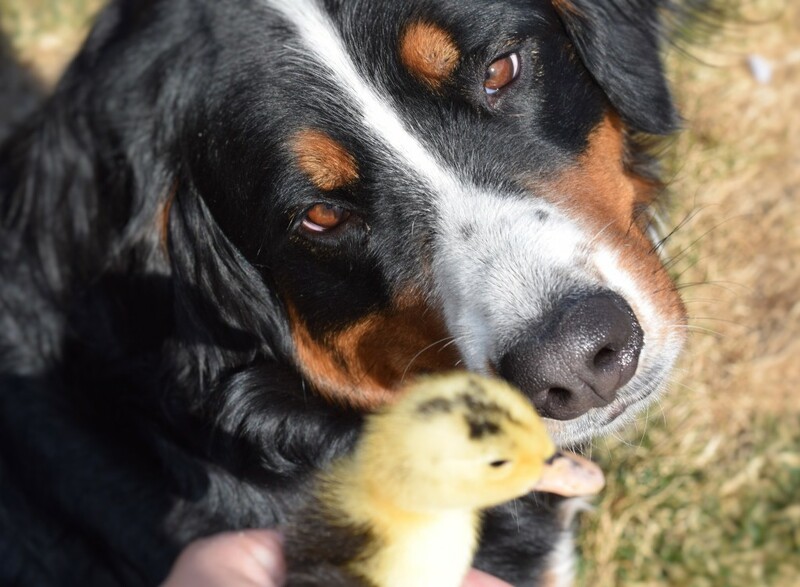 Our old dog has fun herding them and our big girl loves following them around. She was true to her nature of gentle giant, watching and herding them but never getting too close to step on them. 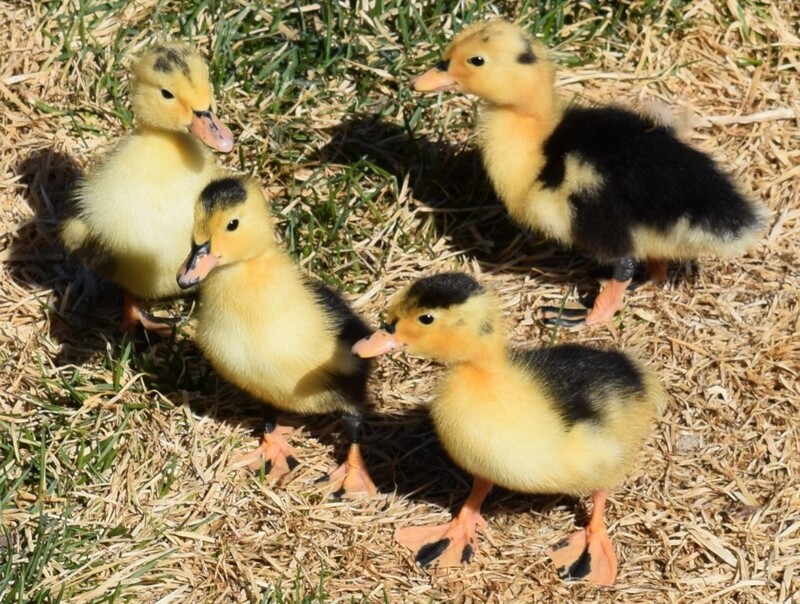 Next thing we knew the four day old ducks were being brought out too. Their fuzzy little bodies stumble on the uneven grass. Our biggest kid – who would rather play a video game – was sitting on the grass giggling with his brothers. All of it makes my heart smile. So “operation good for the soul” is officially in full swing at our house. I am going to open all the curtains (even in the rooms I don’t go into often) and soak up the sunshine. Jasper, our old dog who always snores? That brings a smile. Lola – all 95 lbs. of her – wanting to snuggle the moment she comes in our room? I will rub her belly and hug her like she’s my kid. There are simple joys and smiles all around you. I hope you enjoy your dog sitting under your desk warming your feet. The sound of laughter from your kids drifting through the house. Stepping over Tonka trucks so you can sit on your front porch and drink coffee. Listening to your love sleep soundly at night, putting your head on his chest and feeling his strong heart beat. Birds chirping at sunrise. A beer after a satisfying day of yardwork. Laughing at the guy cussing his golf ball landing in the pond. It’s easy to focus on the tax bill due this week or that the pantry’s bare and you need to go to the market. But don’t. Take a minute. Feel the sunshine on your face. Smile back at the daffodils in your garden. Pet your dog. Hug your kid. Call your best friend. Enjoy the view. Because tomorrow you might not get the chance. Prev Who are you calling Ma’am?!!! Thanks. It’s been especially precious these last few months.